Let`s build a future of inquisitive scientists, innovative designers and creative engineers. LEGO Education brick sets, teacher guides and activity packs provide exciting, hands-on projects for children from 5 to 16+ years. 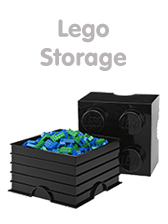 LEGO Education solutions are particularly relevant to teaching design technology and engineering, physical science, scientific inquiry and mathematics. You can find spare parts TECHNIC section.